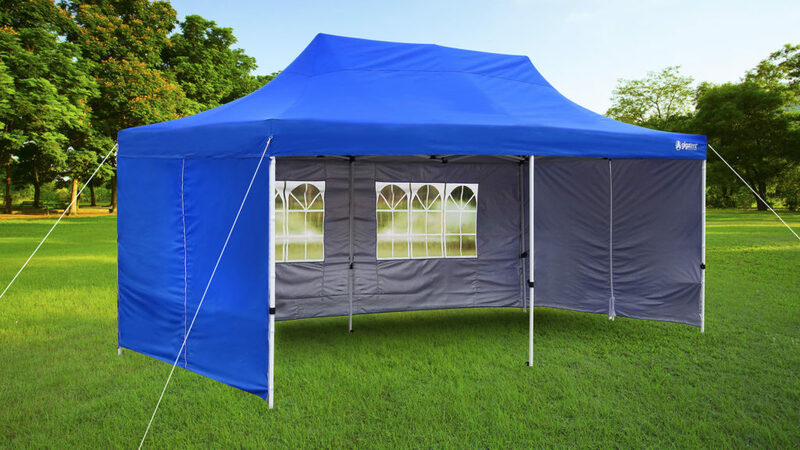 Protect partygoers from sun or wet weather with the Party Tent Deluxe Canopy. This canopy features a very strong steel accordion frame that lets two people set it up in less than 10 minutes. What’s just as amazing is the privacy offered by the attachable walls! The 10’ walls are equipped with front and back zippers for easy entry and exit. The 20’ walls include French windows to light in plenty of light! The roof is constructed from polyester taffeta to efficiently protect against sun and rain. Vertical legs provide plenty of protection for tables and chairs, while the high eaves allow for ample headroom. Extra stakes and lines are included to offer additional stability for windy conditions. 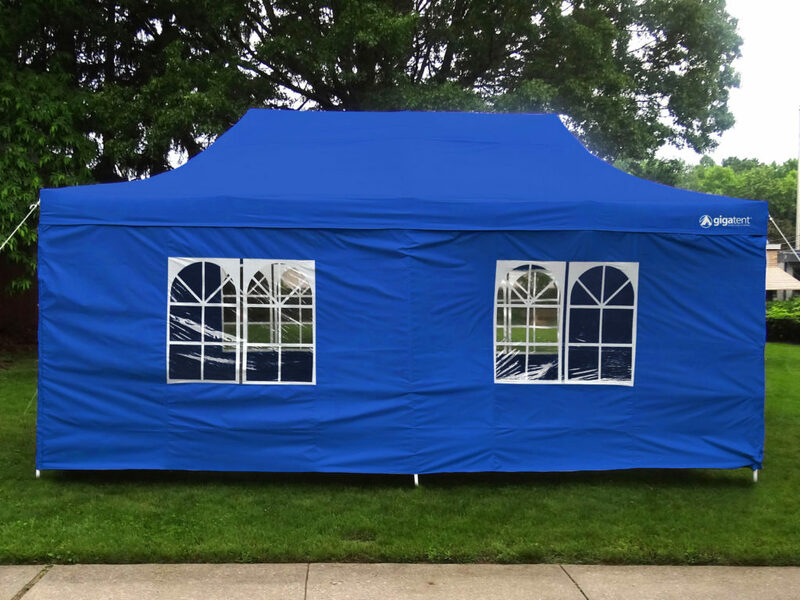 This 10′ x 20′ canopy is the best alternative to expensive rentals. 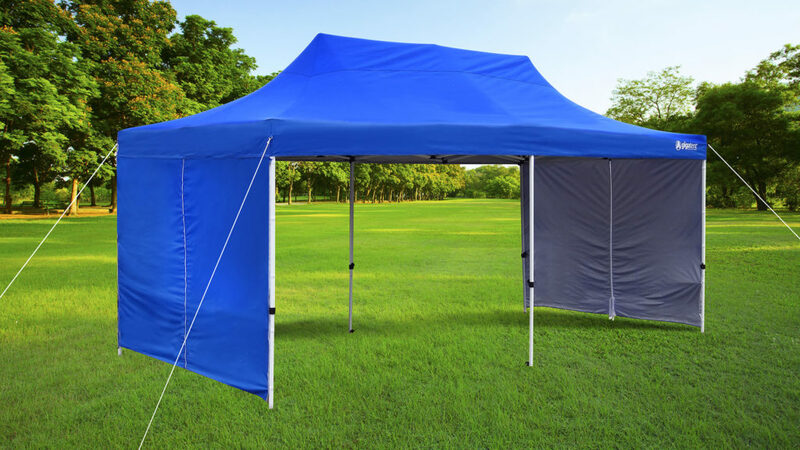 The GigaTent Party Tent Canopy has an adjustable height up to 130″ and covers 200 square feet. 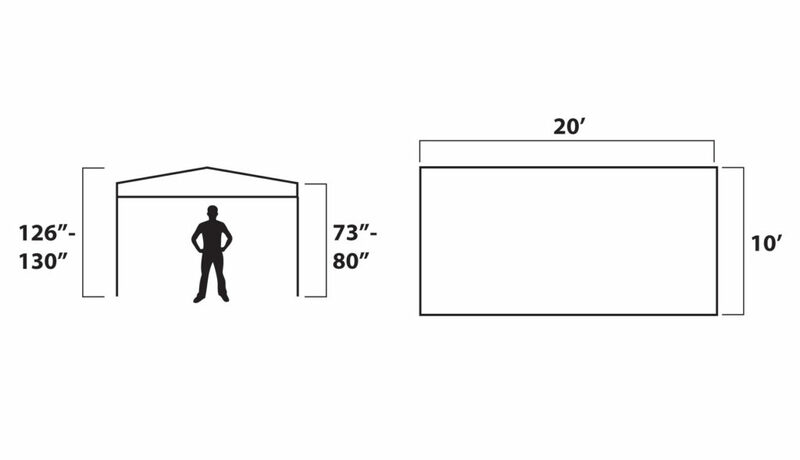 The two 10′ foot walls are equipped with a center vertical zipper which makes for easy entry and exit. The 10′ foot doors also include ties which can be tied to the corner legs, allowing to keep the doors open for unbeatable light and ventilation. Extremely easy set-up! 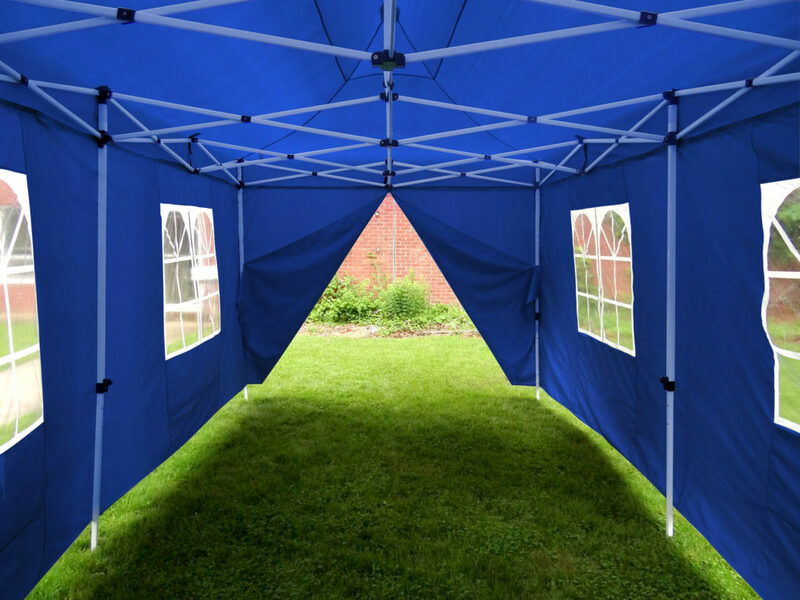 Simply attach the Sidewalls to the canopy and frame using the sewn-on “hook and loop” strips. No tools required! 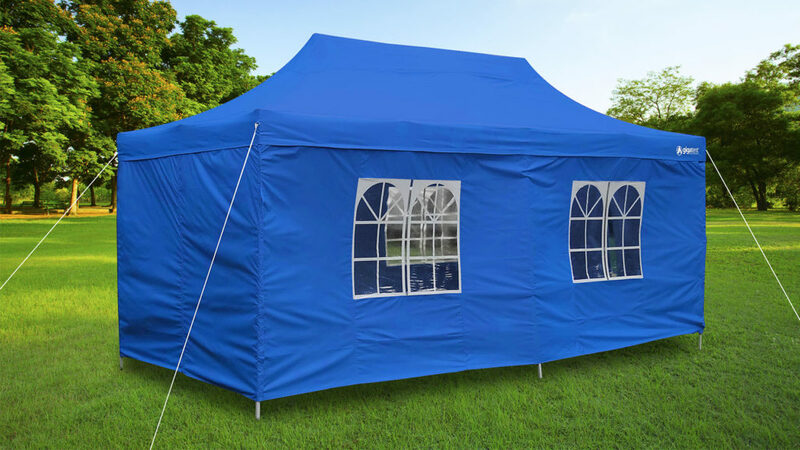 The Sidewalls are constructed from the same high-quality polyester fabric as the Party tent Canopy! Includes heavy duty water resistant carry case with wheels, making canopy very easy to transport.